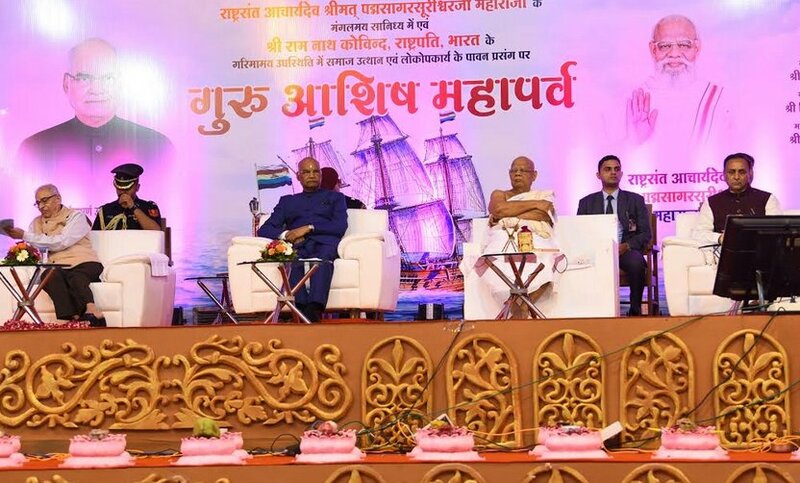 President Ramnath Kovind today lavishly praised Gujarat and said that he felt a natural ownness in the state which was like a second home to him. President Kovind on the occasion also praised CM Vijay Rupani, who along with Governor O P Kohli and Dy CM Nitin Patel was present on the dais, saying that he ran his government for five days from the affected areas during floods in North Gujarat recently. He also talked about the trusteeship theory of Mahatma Gandhi and urged people in the social sector and other high spheres to work with such spirit. He also praised the Jain saint for his immense contribution in social sector and preserving the cultural heritage by creating the largest collection of around 2 lakh ancient manuscript in Gyan Mandir in Koba near Gandhinagar. He said that he had first met the jain Saint, who had so far done around one lakh km of on-foot journey during his Delhi to Bengal on-foot march in 1994 in Delhi. He said that he feels that he had relation with the saint since his previous births.He said that the message of non-violence and spirit of trusteeship (nothing is my own, we take everything from here and use it for the good of all) should spread among more and more people and everyone should become a nation-builder. President Kovind also praised one Manishbhai Mehta for his generous contribution of Rs 63 lakhs to ex-servicemen welfare fund. He said that he was also the supreme commander of the armed forces and had taken a conscious decision to do his first trip outside Delhi after becoming president for an event pertaining to armed forces and he did so by going to Laddakh in an event of the Gorkha Battalion.